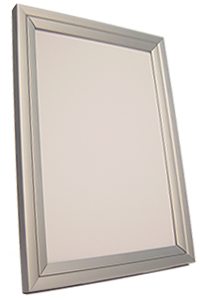 This attractive, slim 26mm all aluminium Trim clip frame is a very popular choice. The patented steel spring clip system ensures years of trouble-free operation. Standard sizes to order.